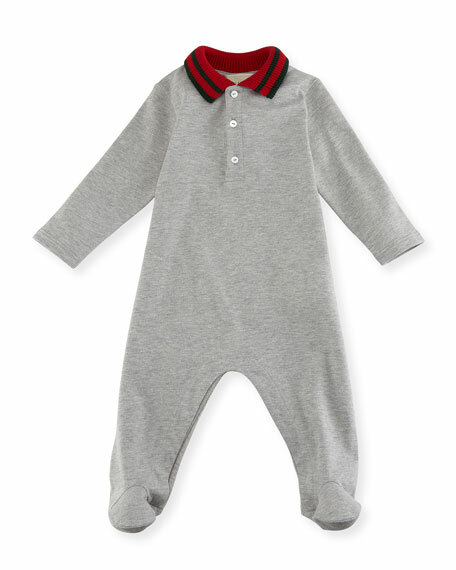 Gucci footie pajamas in stretch cotton piquet. Green/red/green web knit pointed spread collar. Three-button placket with mother-of-pearl buttons. For in-store inquiries, use sku #2250989.